Current tumor immunotherapy includes a series of approaches that intend to destroy malignant tissue by means of the cell destructive armamentarium with which the immune system is endowed. Priming and enhancing the cellular immune response against cancer cells or critical components of the tumor stroma is a difficult endeavor, but recent advances have achieved complete regressions of established transplantable rodent malignancies. Among these experimentally successful approaches we can list: (i) vaccinations with dendritic cells pulsed with tumor antigens and other vaccine formulations (Banchereau and Palucka, 2005); (ii) adoptive transfer of in vitro-preactivated lymphocytes into a tumor bearing host in whom lymphopenia has been induced (Dudley et al., 2002); (iii) systemic or local treatment with cytokines, including gene therapy approaches, that augment the cellular immune response (Murphy et al., 1996, 2005); (iv) transfection of costimulatory molecules for T cells into cancer cells; (v) molecular interference with physiological mechanisms that negatively regulate the immune response. 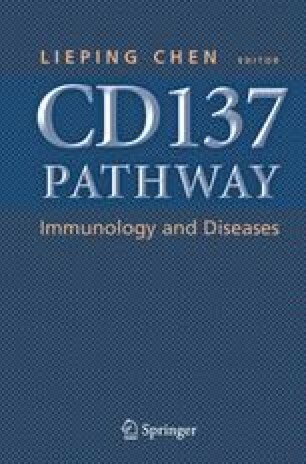 The latter is a particularly fertile field of investigation that encompasses: (a) interference with T cell co-inhibitory molecules such as PD-1 (Dong et al., 2002; Hirano et al., 2005) and CTLA-4 (Egen et al., 2002), (b) the depletion or inactivation of regulatory T cells (Sakaguchi, 2005), and (c) the inhibition of enzymes whose activity locally interferes with T cell activation (Muller et al., 2005).